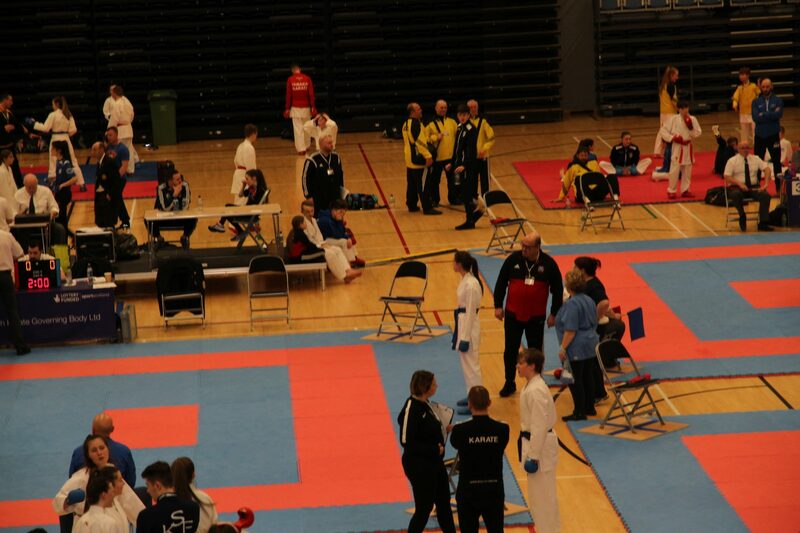 Following invitation to compete, Chineham Karate Club members, Nic Mansfield and Lauren Culver, travelled to Scotland to participate in the annual Scottish International Open Championships in Glasgow. This was the first competition back after long competitive breaks for both participants and marked a successful return to the mats. The Scottish Open is a renowned international competition of the highest standard. In 2018, a total of 13 countries were represented at the championships, which were held at the Emirates Arena, Glasgow. Over 600 competitors were entered from primarily British clubs – the largest club entry included 250 individuals. Shitoryu Chineham is proud to have had representation at such an event, and its members are naturally looking forward to the opportunities throughout the remainder of the year to compete in similar competitions.